When you’re looking to buy an energey efficient air purifier for your home, it’s very important that you take a key aspect into consideration before making a final buying decision. That important feature is if the air purifier includes the Energy Star Label or not. This factor may not seem like a big deal at first, but once you understand what the Energy Star rating means, you’ll begin looking for it on all types of electronic products you buy for your home. 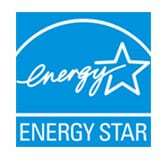 The concept of the Energy Star rating was created by the U.S. Environmental Protection Agency (EPA). This rating helps homeowners find household electronic products that not only save you money, but also helps protect our environment through higher energy efficiency. Before the Energy Star program was started, consumers never really knew how much an electronic product would actually cost them to operate on a yearly basis. For example, you may have gotten a great deal on a new T.V., but if it wasn’t energy efficient, it may cost you $20-50 per month just to operate it – an expense you may not be prepared for! The same thing goes for the negative impact this extra energy use has on our planet. The more energy a product uses, the more resources it requires to keep it operating. This increases our use or natural resources and affects our environment in a bad way. What an Energy Star label does is gives consumers the confidence that a product delivers the same, or more service for less energy. Less energy means that we don’t need to produce as much at power plants. Less production means less greenhouse gas emission and an improvement in our Earth’s ozone and air quality. Why is an Energy Star Air Purifier Important? For many electronic products, the Energy Star label boasts an average of 20-30% reduction in energy costs. 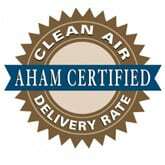 However, with Energy Star air purifiers that number jumps to up 40% more energy savings than standard devices. To put this type of efficiency into perspective, homeowners can save more than $25 per year with a small air purifying device. Over the lifetime of the product, this can amount to more than $215 saved. If you have other types of electronic products in your home, you should consider switching to ones that carry the Energy Star label. The combination of dollars saved can really start to add up. Now that you know how beneficial the Energy Star label can be for an air purifier, there are a few other things you need to keep in mind when looking at energy efficient air purifiers. The Energy Star label won’t cure all of your problems and if you don’t follow these guidelines below, you’ll still end up with an inefficient unit. Before buying an air purifier, make sure to measure the square footage of the room or area you want to use it. Buying a product that is rated to purify a space of 200 sq. ft. will do you no good if you want to use it in a room that is 500 sq. ft. in size. It will be inefficient. The same thing goes when buying a product that is rated for 500 sq. ft. and placing it in a 200 sq. ft. space. Sure, the Energy Star label means the product is more energy efficient, but since it is too powerful for the room you are actually wasting energy and money. Buy a product that is suited for your square footage area. Here’s a more in-depth guide on how to choose the right size air purifier. The Clean Air Delivery Rate, or CADR, shows you how many times the air purifier can exchange the air within a space per hour. A 4x rating is better than a 2x rating. The higher the CADR, the cleaner the air stays within a room. The Energy Star performance of an air purifier is measured by the CADR-to-Watt ratio. This specification measures the speed in which the product cleans the air within a room and the amount of energy it consumes. An Energy Star labeled air purifier has at least a 50 CADR for dust. It’s important to know that although the EPA has a set standard for the CADR-to-Watt ratio, it does not endorse any manufacturer claims of the air quality being any healthier inside a room where this type of product is placed. What does a HEPA filter do on an air purifier?